I loved the book you sent originally which was The Moontime Harmony Workbook. 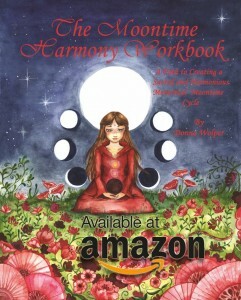 I am on my moon cycle again and just read thru it, really kool information and beautifully written! Thank you for writing such a great book, I will share your info. with many women for sure and recommend your books! !